There used to be a time when people were perfectly content with zero percent alcohol in their root beer. In 2014, Small Town Brewery changed all that when the brand’s 5.9 percent ABV Not Your Father’s Root Beer burst onto the national scene, eventually becoming one of the top selling six-packs in the US. 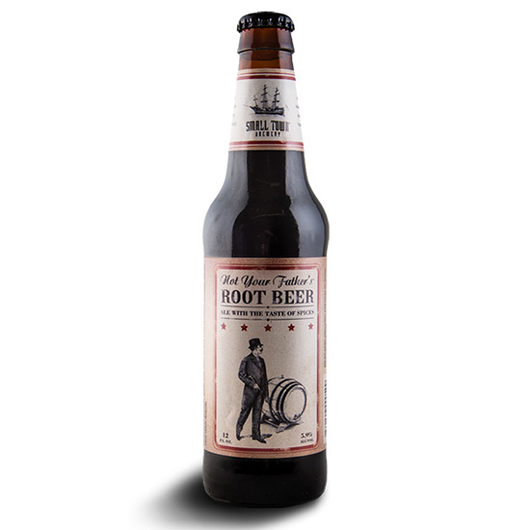 But those of you who aren’t Not Your Father’s Root Beer connoisseurs may not know that when Small Town launched back in 2010, its first products were far stronger: a 10.7 percent ABV and a 19.5 percent ABV root beer respectively. The company has continued to quietly serve up the 10.7 percent version on draft exclusively in the Chicago area. And now, for those wishing their root beer packed this bigger punch, Small Town isn’t going to be so quiet about that original amped up root beer any longer. Of course, not to be a prude, but there is still the question of who really needs at beverage that drinks like a root beer but practically packs the alcoholic punch of a bottle of wine (and is sold in a bottle that is nearly as big). But then again, it’s been a long time since I have made any party plans for spring break so what do I know.